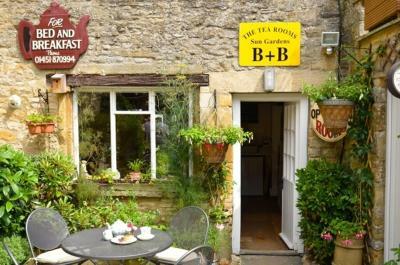 Lock in a great price for Cotswold Garden Tea Rooms – rated 8.8 by recent guests! Very comfortable bed. Friendly and helpful staff. Good breakfast. Very comfortable and charming rooms. Good location. Bed was very comfortable. Love the size of the room. Wish the lighting had been better -- for putting on makeup in front of a mirror and styling my hair. The heated towel rack wasn't on so had to ask to have that. Noisy water heater!!! Great breakfast and great location. Friendly helpful staff. Nice decor, great bathrooms. Extremely accommodating and very good breakfast, with a lot of choices. Amazing location. 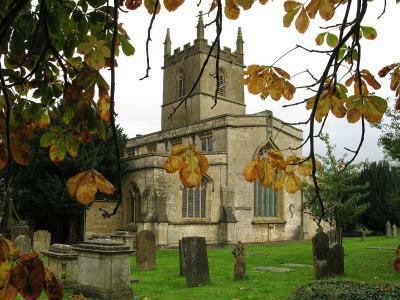 My son and I stayed there while hiking through the Cotswolds in winter. The room was lovely and warm. The shower was nice and hot! Breakfast was fantastic! We also ate lunch there and it was good. The decor is quaint. I would recommend it highly! Location. Very close to town center. Many restaurants around. 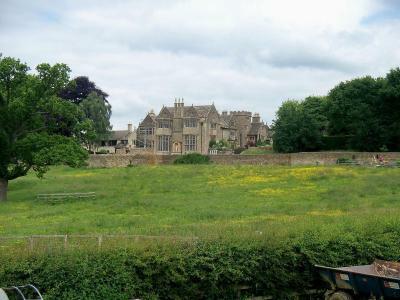 Very central location in Stow. Good breakfast, comfy bed and friendly staff. 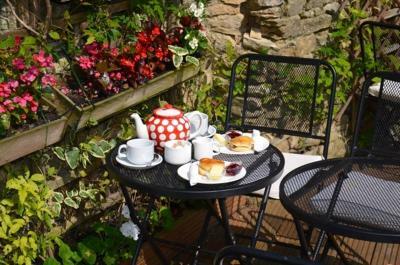 In the center of Stow-on-the-Wold, the Cotswold Garden Tea Rooms offers characterful bed and breakfast accommodations with a pretty courtyard garden. 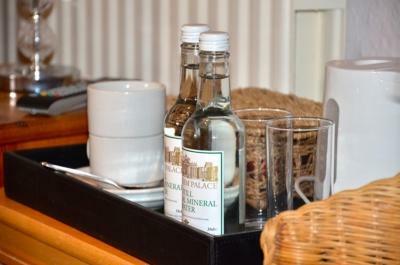 Guests can enjoy freshly made food and afternoon tea, and there is also free WiFi access. Accessed by stairs, the rooms are furnished with antique furniture and have a king-size bed, TV and tea and coffee facilities. Each has an private bathroom with a hairdryer and toiletries. 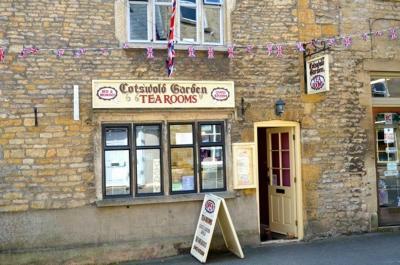 Cotswold Garden Tea Rooms offers a menu of sandwiches, paninis and jacket potatoes, as well as homemade cakes and scones with cream and jam. 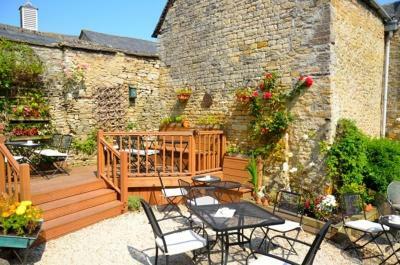 You can dine inside or in the cottage garden where there is plenty of seating. 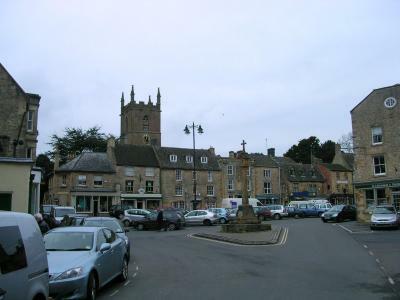 Stow-on-the-Wold is around 4 miles from Bourton-on-the-Water, where you can visit the Cotswold Motoring Museum or Birdland Park & Gardens. Cheltenham, Gloucester and Cirencester are all within 25-35 minutes’ drive, with Stratford-upon-Avon just over 20 miles away. You can also drive to Oxford and Worcester in around 45-50 minutes. 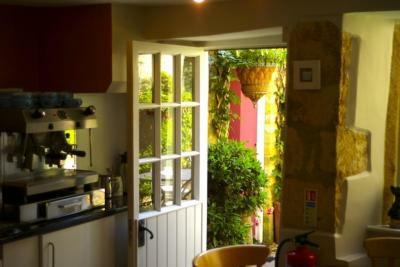 When would you like to stay at Cotswold Garden Tea Rooms? 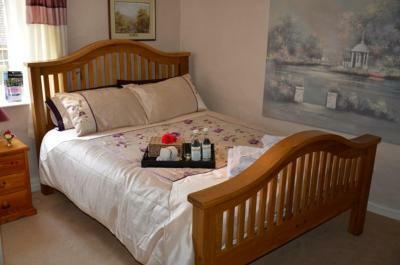 This room with attached bathroom has a king-size bed, TV and tea and coffee facilities. 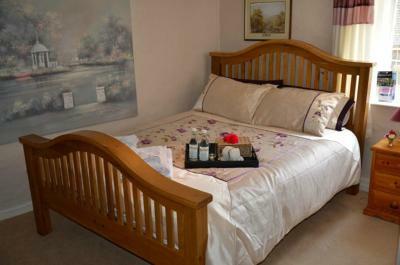 This room with attached bathroom has a super king-size bed, TV and tea and coffee facilities. This double room has a electric kettle. 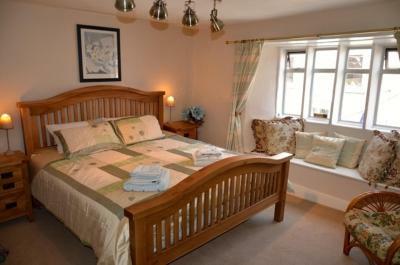 This is a large super king-size room, with a large en suite shower room. 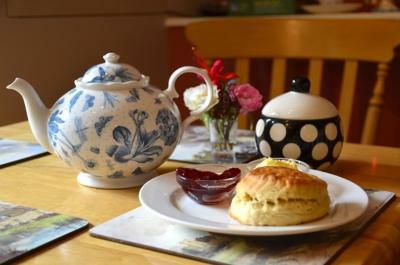 House Rules Cotswold Garden Tea Rooms takes special requests – add in the next step! 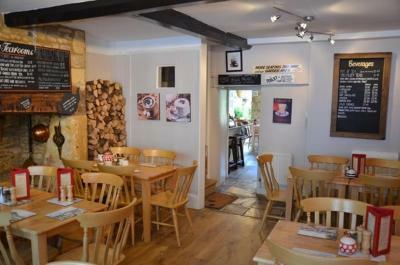 Cotswold Garden Tea Rooms accepts these cards and reserves the right to temporarily hold an amount prior to arrival. Please note that the latest check-in is at 18:00. With prior arrangement, later check-in may be possible. Please contact the property directly to confirm. Please note that all the rooms are upstairs which may cause problems for guests with mobility issues. Please note the king size room has a low ceiling. Please note breakfast is served from 09:00. Early breakfast can be arranged with prior arrangement. No complaints about my experience. 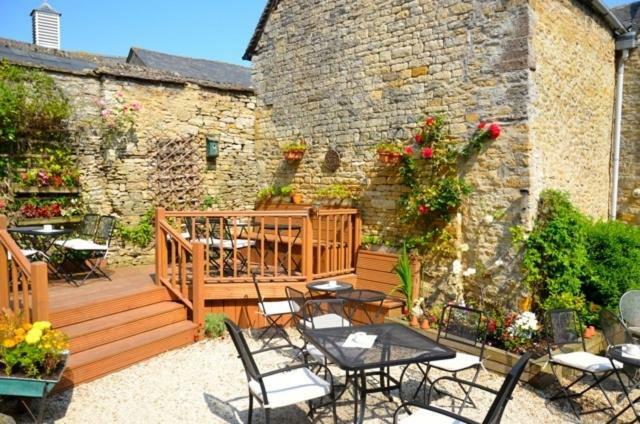 The photos on booking do not do this place justice! The staff were lovely and let us check in early as we were in a rush to a wedding. The room was tidy and pretty and the bathroom was huge. The shower I had in the morning was glorious. To top it all off the breakfast was lovely! No shower gel and no window handles to close the windows. Friendly staff, lovely breakfast and a good overall experience. Weak WiFi. We hadn’t expected stairs but the staff were very helpful in carrying our luggage for us. 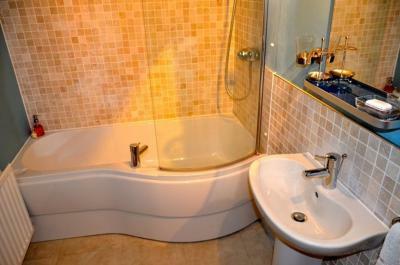 Our bedrooms were very individual and comfortable, with great bathrooms. However, they definitely needed a little TLC and definitely a "deep" dusting! However, this wouldn't stop us coming back. Lovely breakfast. Attention to detail needed in places. Window handles missing and difficult to close when needed. Window frames filthy and need cleaning. Bathroom lovely but grout on tiles needs a clean. Very luxurious and well furnished room. The English cooked breakfast was great. However the scrambled egg & smoked salmon poor. Waitress friendly & helpful. Rooms comfortable but some traffic noise first thing in the morning. Pleasant stay. Bathroom door knobs on both sides of the door kept falling off; when reported to staff we were told it kept happening. Broken electrical socket covered in masking tape. Tear in the quilt cover. Peeling paint in the bathroom. Macerator pump kept cutting in all night. The full english breakfast was very good. Below our room is a butcher shop and every morning we were awoken by people not using their inside voices. Our room had low beams, my husband kept banging his head! Staff did warn us though. A few little ningles in the room, nothing major e.g door handle came off in your hand. Room was nice and quirky and very clean. Good value for money. Breakfast included. Great central location. Staff friendly. Having its own parking would have been excellent but not the end of the world trying to find spaces on s busy Saturday afternoon a little bit of a pain!! How’s it the end of the world!! Location spacious comfortable rooms staff were very welcoming and allowed us in early to attend a wedding ...breakfast v good I would definitely go back there again. Booking.com made a complete hash of payment and we ended up paying twice. Thankfully the owner, Shelly, reimbursed us immediately. This has put us off using Booking.com in the immediate future, despite being a Genius member.